Welcome to the 1500th Episode of Mister Ron's Basement! We are presenting this Episode in EIGHT Parts, one per day for eight days. In 1906, Ellis Parker Butler published 'Perkins of Portland' a book collection of eight stories of the world's greatest Advertising Man. Most of these stories had appeared in assorted popular magazines. Episode #1500 will be readings of these incredibly funny, and surprisingly modern Perkins of Portland stories. Yes, we have read some of these before in early episodes of the Basement. 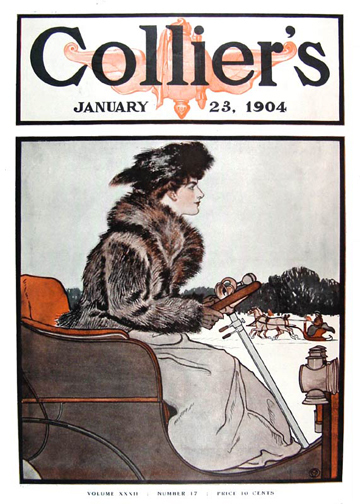 It originally appeared with the title 'Don't Swear' in Collier's Magazine on January 23, 1904. Your comments are welcome! In celebration of reaching this milestone, we are having a contest with a beautiful 1906 Edition of Ellis Parker Butler's 'Pigs is Pigs' as the prize! To get a chance to win, send an email to Mister Ron at revry@panix.com and tell him what your favorite episode is! Get the details by clicking here!